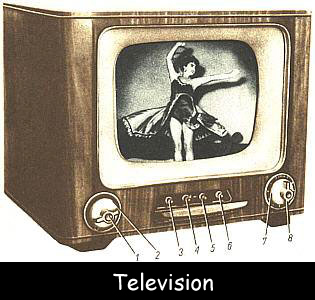 The term Television was introduced in 1900 by Russian Scientists Constantin Perskyi. People at the World’s Fair in New York on April 30, 1939, were amazed to a black and white screen displaying moving images with sound. It became widely popular after the end of World War II. At that time, more than one million American homes had a TV. Initial TV sets had only 200-400 lines of resolution. The remote controls were introduced in the 1980s. Currently, there are more than 250 million TV sets in the United States. The first-ever American television station started working in 1928, and BBC transmission began in 1930. Broadcasting companies earn revenues from commercials and subscriptions. John Logie Baird was the first one to transmit the first ever television picture on October 2, 1925. He used a ventriloquist’s dummy which he called Stooky Bill. The first color pictures were aired on BBC2during Wimbledon in 1967. The coronation of George VI in 1937 was the first outside broadcast on the UK television. The First TV commercial was for Bulova watches which was broadcasted on July 1, 1941. Cable TV was introduced in 1952 in Canada but it didn’t spread across the country at that time. An average person spends almost 10 years of his life watching TV. An average American child sees about 200,000 acts of violence on TV by the age of 18 years. Approximately 98% of all U.S. households own at least one set and 76% have more than one TV set. Declan, Tobin. " Fun Facts for Kids about Television ." Easy Science for Kids, Apr 2019. Web. 21 Apr 2019. < https://easyscienceforkids.com/television-facts/ >.